Chinese police have shot dead three suspects who they said killed two people in a "terrorist" attack on a branch office of the ruling Chinese Communist Party in the troubled northwestern region of Xinjiang, official media reported on Thursday. The "rioters" detonated an explosive device during the attack on Wednesday afternoon, as well as launching a knife attack, the official Xinhua news agency reported. "At around 4:50 p.m. Wednesday ... rioters entered the yard of Moyu County Committee of the Communist Party of China (CPC) in a vehicle, attacked workers with knives and detonated an explosive device," it cited the ministry of public security as saying. The attack killed an official and a security worker and injured three others, the report said, adding that three people were shot dead at the scene and that the case is now under investigation. An employee who answered the phone at the Moyu county police department hung up the phone when contacted by RFA on Thursday. However, an employee who answered the phone at a hotel one kilometer away from the blast said the county town is now under lockdown, with riot police patrolling the streets. "There are riot police and armed police here, although we're not located at the scene," the employee said. "The patrols keep coming by, every couple of minutes." "There's a traffic police platform and kiosk right next to us, and we have stepped up security inside the hotel as well," the employee said. "This place was always pretty quiet and peaceful before. We never thought that something like this could happen here." Beijing blames Uyghur extremists for a string of violent attacks and clashes in recent years. But critics say the government has exaggerated the threat from the Uyghurs, and that repressive domestic policies are responsible for violence that has left hundreds dead since 2009. Local police officers and security officials said there were four attackers, all from Yawa Township in Karakash County. “All four attackers were from our township, and now we are very busy working in cooperation with various levels of investigation teams from the county to the regional departments," a Yawa Township police officer told RFA's Uyghur Service. The officials identified the three slain attackers as brothers Tohtimemet Tursunniyaz, 34 and Nurmemet Tursunniyaz, 32, from Jumebazar village in Yawa Township, and Abletip Metqurban, 23, of Jahanbagh village in Yawa Township. The fourth attacker has not been identified. Abdumemet Sadir, security chief of Jumebazar Village, told RFA he had recently confiscated the Tursunniyaz brothers' passports as part of a wider campaign in Uyghur regions and that may have angered the two men. But the official said he wasn't sure that was what had motivated the attack. "Tohtimemet Tursunniyaz was detained for one year in 2005 and released after an investigation," said Sadir. "Detention was a little long and baseless, and he told his neighbors that 'I feel like I graduated from a university, I learned such a lot of things and lessons [in detention]." "By this statement he implied he was angry with our justice system, so we had monitored their their actions over the past 10 years, and they had to submit an application if they wanted to leave Yawa township," added Sadir. "The younger brother, Nurmemet Tursunniyaz, was a truck driver and a hardworking person and also was religious, but, the older one, Tohtimemet Tursunniyaz was little bit lazy, doing nothing other than farm work, and did not pray, so I can't see a religious motivation for their participating in the attack," he said. 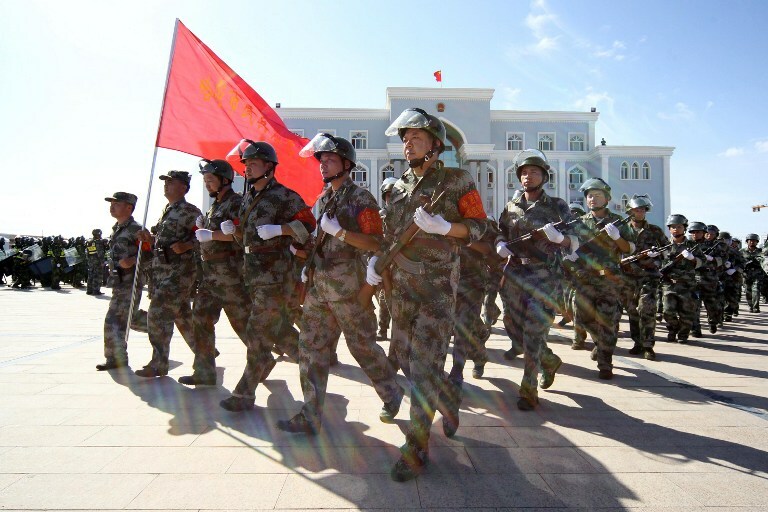 A second source in the township, a retired government employee who spoke on condition of anonymity, told RFA: "My assumption is that the attack was motivated by the hatred which has increased after the demolition of mosques in Hotan and Kashgar ... I believe it was a revenge attack for the demolition." "The attackers could have caused more causalities, if they had attacked any bazaar, train station in Karakash or Hotan cities, where the Han population has increased year by year; I think their goal was not only to express their anger. It looks like they had considered political or public relations effect of the attack," added the retired official. Abdurehim Nasir, the security chief of Jahanbagh village, home of the third attacker, said the two villages the attackers came from did not experience any mosque demolitions, because they were poor and had only two mosques. "The demolitions angered all who pray in Xinjiang, but I am not sure whether it was the factor motivating this attack," he said. Nasir said Abletip Metqurban's participation in the attack was puzzling, because "he had obeyed all the new regulations we implemented since 2014, he fully participated in all the political meetings in our village, attended all the singing and dancing parties we organized for eliminating radical ideologies and feelings, and he provided [mandatory] free labor." He said Metqurban's female cousin Rahile Dawut, 21, was jailed last year for seven years for harboring a terror suspect in her house for two days and pointed to that as a possible motive. China has vowed to crack down on what it calls religious extremism in Xinjiang, and regularly conducts "strike hard” campaigns that include random, nighttime police raids on Uyghur households, restrictions on Islamic practices, and curbs on the culture and language of the Uyghur people, including clothing and personal appearance. Beijing in December 2015 passed a new anti-terrorism law banning anyone from disseminating images or information regarding terrorist activities, and authorizing anti-terrorist operations by security forces beyond China's borders. U.S. officials have said they fear the new law could be used to target peaceful dissent and religious activities among ethnic minorities in China, particularly Uyghurs. An employee of a second hotel in Moyu said that they segregate guests along ethnic lines, reserving entire floors for Han Chinese, and allocating rooms on separate floors to the mostly Muslim Uyghurs. "The two ethnic groups are kept separate, with the Han Chinese on the first, second, and third floors," the employee said. "It's all segregated." "We also check everyone's bags when they check in, and their ID. Whatever time of day, we check them." According to an exile Uyghur group, police have already detained 14 Uyghurs along the highway between Moyu and Kashgar (in Chinese, Kashi), with more than 20 people detained within Moyu county. "There is a strong police presence on the roads and streets," Dilxat Raxit, spokesman for the World Uyghur Congress, told RFA. "All government departments and agencies are now under armed guard, and the government is controlling who goes in and out of the county much more strictly now," he said. "There is also an operation across the entire county town, as well as tight controls over the flow of information online, so they can cover up the truth about the incident," Raxit said. He said recent attacks in Xinjiang are entirely the result of Beijing's oppressive policies in the region, which have exacerbated ethnic tensions and driven Uyghurs to violent resistance. Last year, Chinese officials refused to renew the working visa of French journalist Ursula Gauthier after she angered Beijing by writing an article critical of its policies in Xinjiang. Gauthier, the Beijing-based correspondent for French news magazine L'Obs, had "flagrantly championed acts of terrorism and acts of cruelly killing innocents," the foreign ministry said. Gauthier had suggested that a string of violent incidents in Xinjiang could be the result of oppressive policies, and questioned China's motives in expressing sympathy for the victims of the Nov. 13 attacks in Paris. Reported by Shohret Hoshur for RFA's Uyghur Service, Qiao Long for RFA's Mandarin Service, and by the Cantonese Service. Translated by Shohret Hoshur and Luisetta Mudie and written in English by Luisetta Mudie. Great reporting! However, please proofread carefully before posting it. I wonder why what made people turn into terrorists..hmmm. Is the Communist Party heavy hand is to blame? Im wondering why what made people turn into terrorists who attacked US in 911..hmmm. Is the ignorant western netizen like you heavy hand is to blame?